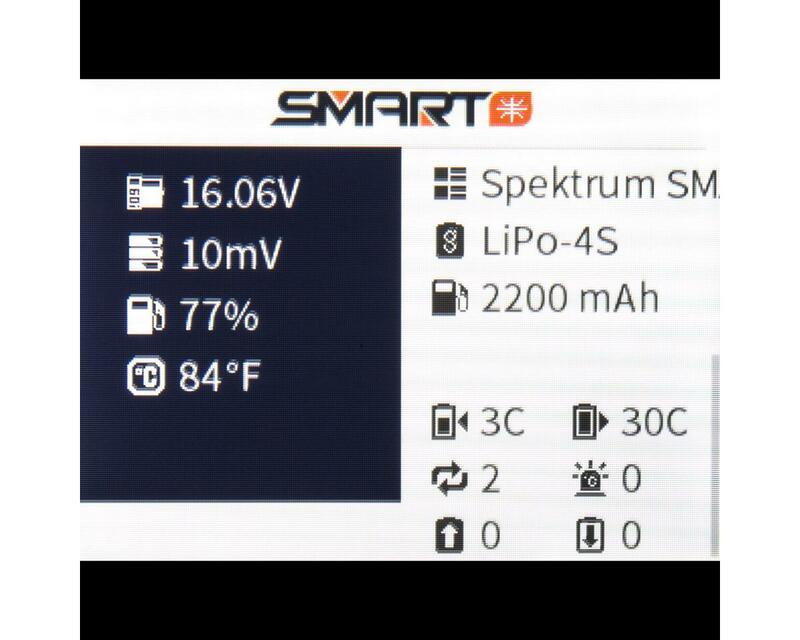 More than a Balance Checker: Pilots and Drivers can stay better informed about their Lipo, LiHv, LiFe and LiIon Batteries with the Spektrum XBC100 Smart Battery Checker. 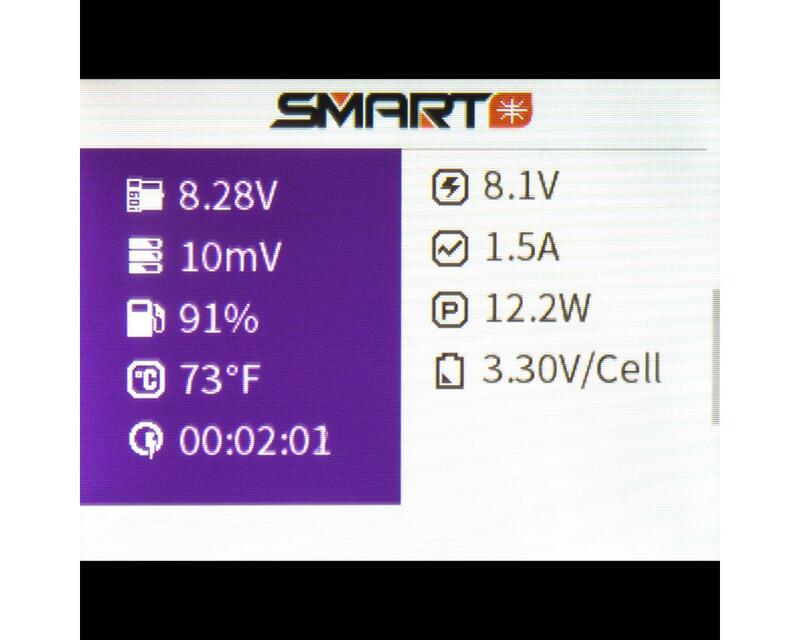 With the Easy to read full color IPS LCD display, quickly see the battery percentage, cell balance, and be notified of abnormal conditions. 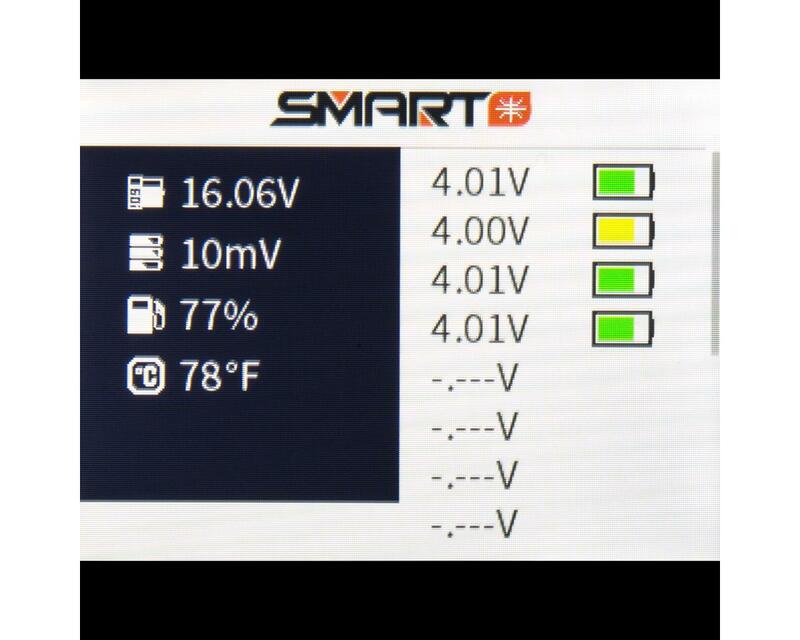 And if your battery cells are out of balance, the XBC100 can conveniently balance each of your Battery cells to within ±0.005V accuracy. 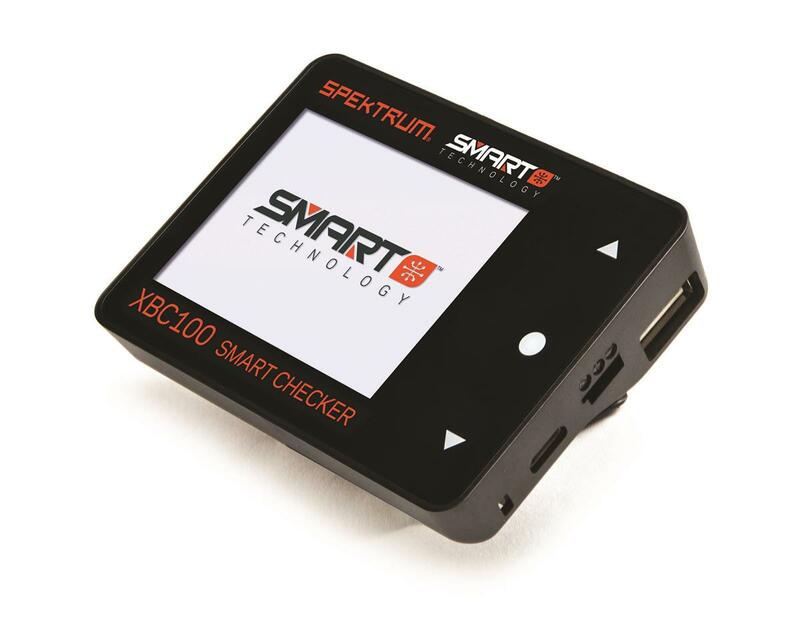 Smart Battery Connectivity: The XBC100 gives Smart Battery users a simple to use battery checker that gives all the benefits of a balance checker with just one connection of the iC3 connector. 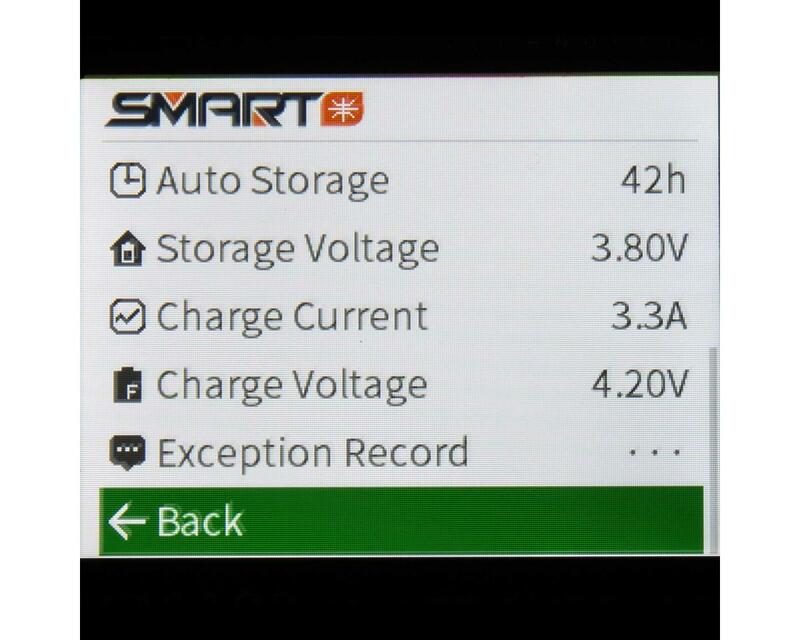 And when connected to a Smart Battery, users can check all the integrated parameters such as number of cycles, events such as over discharge and overheating, as well as adjust smart battery settings like auto storage timer and preset charge current. 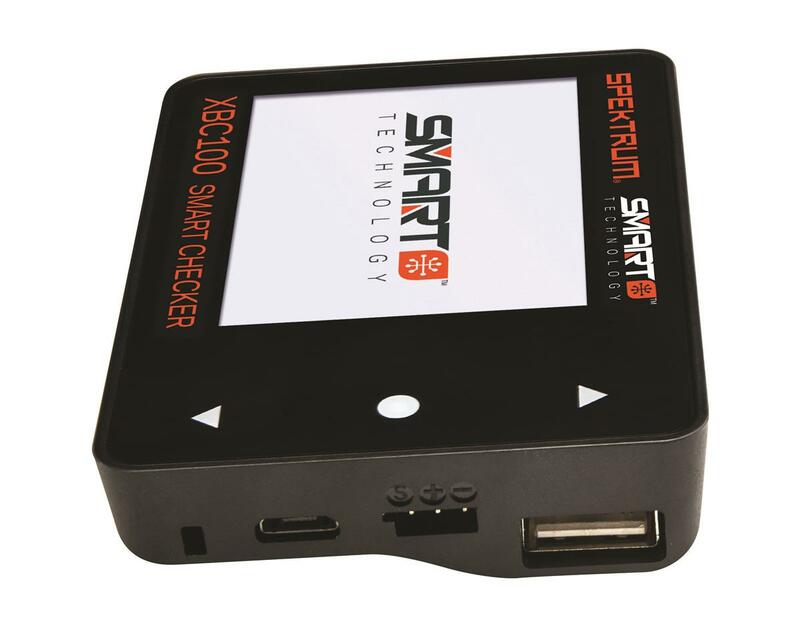 Integrated Servo Tester: Built in to the XBC100 Smart Battery Checker is a helpful pwm out port that is facilitated to be used as a Servo tester. Easily check your control ranges on any modern servo or esc. Users can Test for binding and current draw right from the checker, no special in line meter required. Qualcomm ® 3.0 USB Charge Port: Keep your device charged and ready with the convenient USB power port. Just plug in a charged battery and hit start USB Charging and the XBC100 becomes a fast charging power bank ready to keep your Spektrum Smart Transmitter and mobile devices charged. Support Qualcomm QC 2.0/3.0， compatible with BC1.2 and Apple devices. Maximum output 12V/2A.